Due to its strategic importance, the capture of the city was the main objective for Dempsey's British 2nd Army in the early phase of D-day. Unfortunately German counter-attacks during the afternoon prevented it. 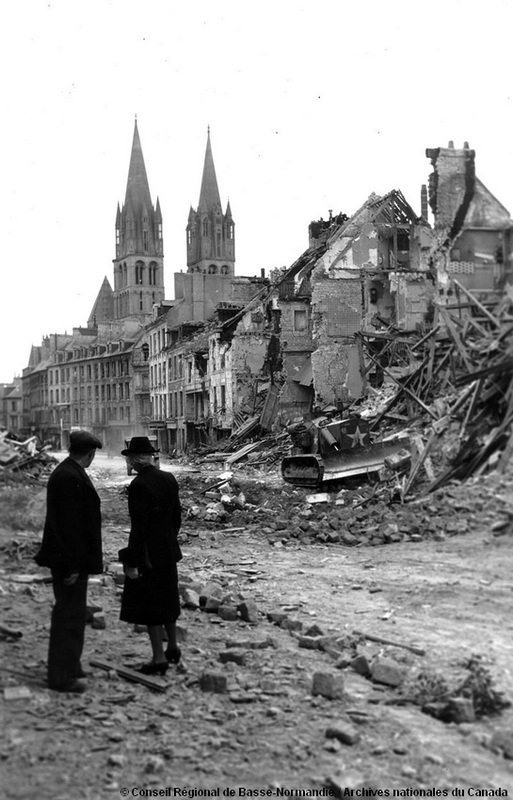 It would take multiple Allied attacks during the month of June and finally the capture of Carpiquet on July 4th to liberate, during Operation Charnwood starting on July 8th, a city that had been devastated by too much bombing and shelling. The Canadian soldiers were first in entering the city and their faces are still engraved in the inhabitants' memories. Driving through town, you will get past surviving medieval buildings such as the Castle, several churches and the Abbeys built by William the Conqueror, saved from destruction, and you will discover the bridges over the river Orne, the typical architecture from the Reconstruction and a few monuments.